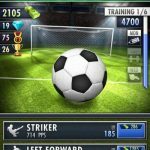 Travian Games has released a new soccer management simulator for mobile called Goalunited PRO. In this game, you won’t get a chance to start as Real Madrid, Barcelona or Manchester United. 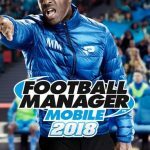 Instead, you’ll be starting from the very bottom of the bottom, and you won’t even be dealing with real-life teams and players – where’s the fun, after all, in taking a powerful team to the top in your very first season as manager? 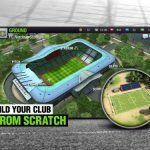 In here, you’ll be making your way to the top from the bottom of the pile, and that would require training your squad, choosing the right squad tactics and buying new players from the transfer market. But you also have to keep your eye out on the finer details of running a soccer team, such as building a stadium worthy of the fame of the world’s top clubs, and micromanaging other business-centric details. This won’t be an easy game, especially if you’re used to soccer management games that let you start with any team. Fear not, as you can check out our detailed Goalunited PRO strategy guide, which will talk you through the different ways for you to make your team better, regardless whether you’re a new manager or if you’ve been managing your team for a couple of days or weeks. Your first instinct may be to spend your cards as soon as possible. But if you haven’t played the game yet, or are about to play a new one, here’s why it isn’t a good idea to spend your cards early on. For starters, you’ll be managing a very weak, very pitiful team – scrubs left and right, almost all of whom, if not all, are destined to be replaced within the first season. But the first season is oftentimes an easy one, and if you come to think of that, you might not have any real need to use your cards at all. Just hang on to them and let them add up; you can then use them during your second or third season, and save them up for really good, talented players. Yes, we know it could be boring to pay so much attention to your stadium when you can be choosing tactics for your players, checking out the transfer market, or training your existing players. But regardless whether you’ve got a good team or a bad team, your stadium is arguably the most important resource you have, and probably the one you should pay the most attention to. 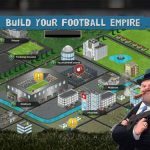 Once the buildings become available, build them right away, and keep on upgrading them so you can maximize your stadium’s potential. As an aside, you might want to ignore the fact that the Manufacture feature and the Shop are not yet available. As this is a new game, those features will be added in future updates, so just wait it out, as there isn’t anything wrong with the game – it’s just new! Again, this is another reason why your buildings should take precedence over everything and everyone else. Like real buildings do, your buildings in this game will depreciate as time passes, and you should prevent that from even happening. If you want to ensure proper building maintenance, go to the Stadium section, and tap on the hammer. That will give you a view of your buildings and the condition they’re currently in. If buildings fall below 75 percent condition, they won’t work for you anymore. But you don’t really need to worry, as repairs are absolutely free in this game! Go for those repairs the moment you notice your buildings have reached a condition of 80 percent or so. Moving on to your human resources in this game, you’re probably thinking this is the time when we start talking about your players and formations. Wrong – yes, they’re important, but we will also dare say that your staff members are even more so. Don’t just hire staff members willy-nilly – as choosing the right staff could earn you some big bonuses in various areas, you should always go for the best ones available. It’s best to do this after you’ve completed the first season, as you should have lots of cash ready to spend, and a better team than the one you started with. When choosing high-level staff members, prioritize those coaches and other personnel that increase your money from sponsors. 5. What Is The Best Formation? Speaking based on observation and in general terms, offensive formations are the best ones to go for when playing Goalunited Pro. If you’ve got a high enough offensive bonus, your defense won’t get penalized, which means you’ll effectively be playing with a full defense and enjoying an attack bonus when you’re on offense. The only time you should go defensive and adapt the old “best offense = good defense” philosophy is when you’re up against a team with a slightly higher ranking. A 0-0 draw may be a bummer for the fans, but a draw is always better than a loss when it comes to your team standing. Still, offense would be king most of the time, unless goal difference does play a key role in your league’s placement due to extreme parity. 6. What Level Of Effort Should You Use? We’re going to go with the simplest, yet most obvious answer for starters – Normal effort level. That would usually be good enough for average or less-talented opponents, but if you’re gunning for a win against a higher-ranked opponent, or playing an away match, you can try upping your effort a bit. Low energy is best used when your opponent is much more powerful, as that will keep your players rested for winnable matches that may follow in your schedule. 7. Earning In-Game Currency – What Are The Basic Ways? Travian has made sure that you, as the player, will never be short for in-game currency. You will, in fact, be earning money simply by completing the tutorial, so do NOT take the “meh, I can learn the game myself” approach, and do pay close attention to and complete the tutorial. Starting the game will even earn you money, and you will earn bonuses for each consecutive day you’re logged in and playing. A stadium that’s in tip-top shape will earn you good money from your home matches, though you may have to play around with ticket pricing until you get the best net income per game. In connection to the last tip, sponsorship is another great way to earn in-game money; choose performance-based sponsors if you’ve got a strong team that could win lots of matches, but otherwise, go for those that give you the largest guaranteed amount per week. You do, after all, need currency in order to strike it rich in the transfer market. Now do you see why the non-soccer-related micromanagement aspects of the game are more important than your mix of players or your chosen tactics? For yet another way to earn money that deserves its own separate tip, let’s talk about selling players. You can easily make a killing in the transfer market if you’re active, and that will require looking for the best bargain players; these are top-rate players who aren’t attracting a lot of bids. And once you’ve purchased those bargain players, you can sell them right away for a profit. You may also lose money by doing this, so the best thing to do is to buy as low as possible and sell them back for as much a profit as possible. And since this might not always work, given the dynamic nature of a transfer market with real people (human Goalunited players, not real-life soccer stars and managers), you can simply focus on developing your own players if you aren’t financially productive anymore through the transfer market. It might sound like an obvious strategy to employ, but it’s going to help you win more matches – train your players! It’s going to be a long and drawn-out process, but with the right roster moves, this training could pay off big time. In general, it’s best to buy younger players and sign them to longer-term contracts (for less wages to be paid over the span of the contract), then focus on training them to improve their skills. You might even want to hang on to some of the better scrubs from your first lineup, as they could potentially become quite skillful in a few in-game years, thus raising their market value significantly. There’s a reason why you should aim for versatility and try to change it up when allocating training in your team. Not only does it make your players better-rounded, it also prevents them from getting bored. Boredom will set in if you keep on training the same item repeatedly, and once your players are bored, they won’t be benefiting from the training that much anymore. Change things up in your training schedule, and change things up in the aspects you choose for your players to be trained in. Matches are typically played at 7 p.m., so you can try logging in at that time – some have reported an improvement in their players when they log in on time to watch their teams’ fixtures. It could be a case of players getting inspired when you actually watch them in action, or simply a coincidence, but there’s nothing to lose by logging into the game when a match is taking place.